It costs £50 per person per year. 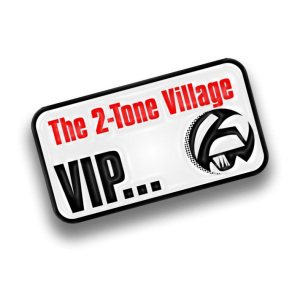 An exclusive new enamel VIP badge One of the original enamel VIP 2-Tone Central badges first 100 only). 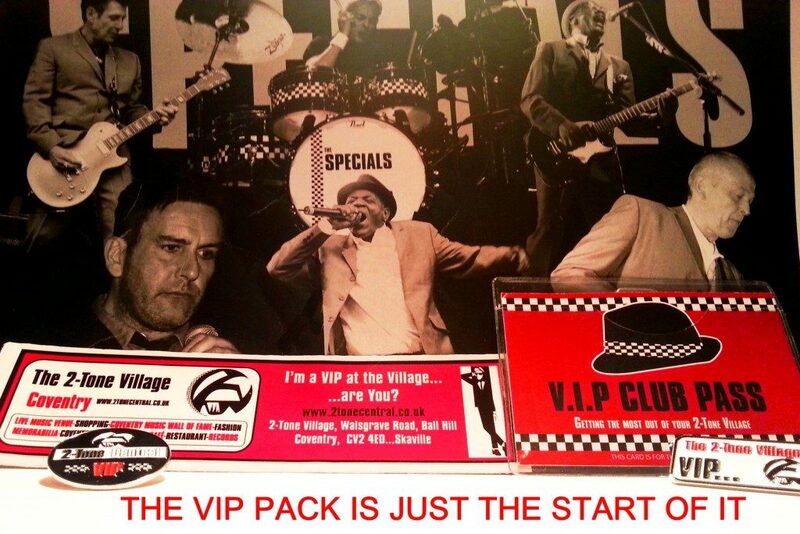 Membership card Exclusive Specials montage poster, Village Car sticker. Total free access for a year to the Museum (for the card holder only),10% discount at all Village shops & Simmer Down restaurant (Excluding Top To Toe and the 2-Tone Cafe) invite to an exclusive Village VIP only event, and the chance to win a special prize, and when possible VIP pre-sale tickets. Money from the VIP Club goes directly to keep The Coventry Music Museum going. It’s as simple as that, so it’s great having some fun in the process, and being part of something ‘special’.